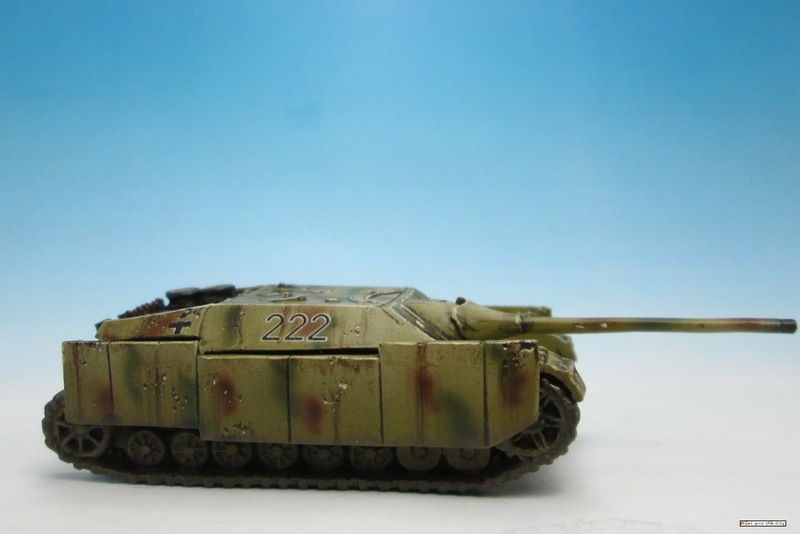 The paintjob on this model is what I am starting to think of as my "new standard" for German armour. 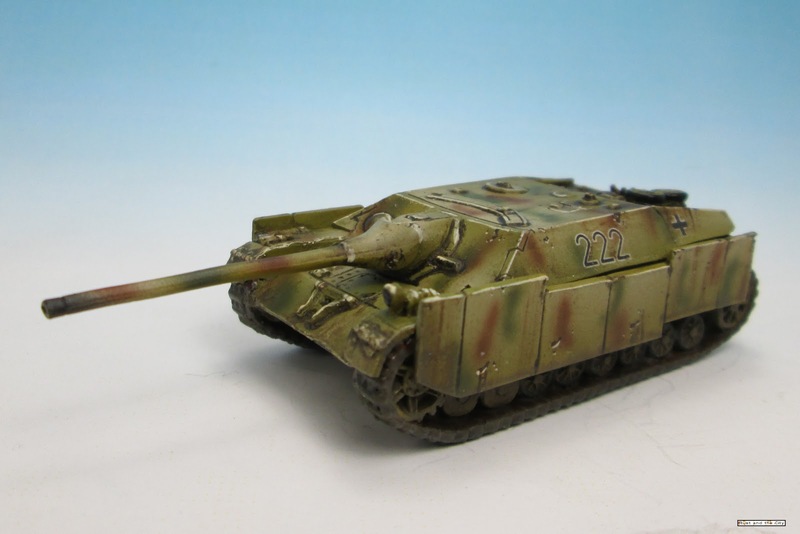 I've just started using MIG Industries tritonal filter on the KV-1 and Sd.Kfz 251/1 and these models. The filter really adds more richness and depth to the colour after adding the colour modulation highlights. I am really loving how it brings that depth back to the yellow colour. I think I am finally satisfied with the dunkelgelb colour I am getting now. Decals are from Dom's Decals. 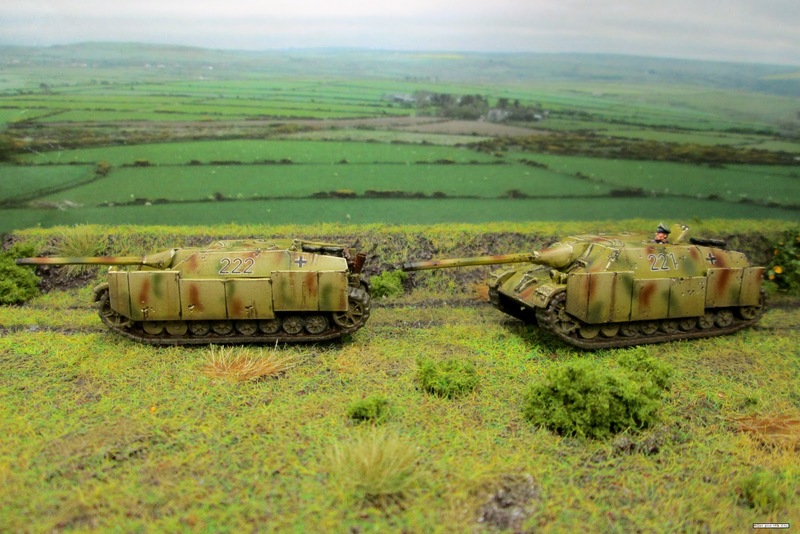 I've been painting more models in soft edged camouflage lately as I think it looks better with the colour modulation (it is hard to match the modulation on hard edged patterns) and because soft edged patterns work for mid and late war in everything except the desert theatre. Soft edged also has the advantage of being faster to paint as I can paint the camouflage freehand. The downside is that any airbrushing issues can quickly spoil the paintjob. I used the standing crew officer from the panzergrenadier box set. These models were alright overall. I had to buy the platoon box (GBX67) as I wanted the models without zimmerit. Unfortunately the models do not have individual details like many of the platoon boxes. The schurzen has a really clever design with wedges on the bottom that sit on top of the running wheels. Unfortunately the resin of the main hulls was warped on some of my models resulting in having to fill the gaps between body and the tracks with putty. 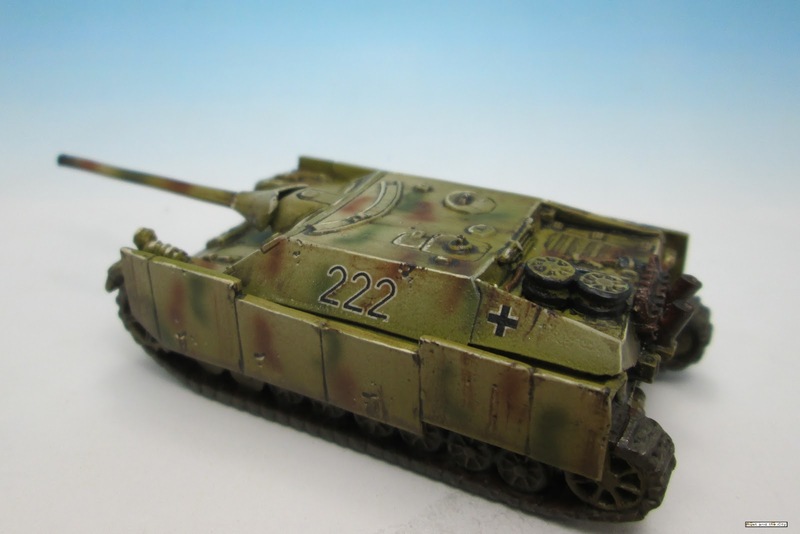 The Panzer IV/70s also use the old metal Panzer IV tracks. The tracks themselves are alright but the detail like the tools and the light at the front are terrible. 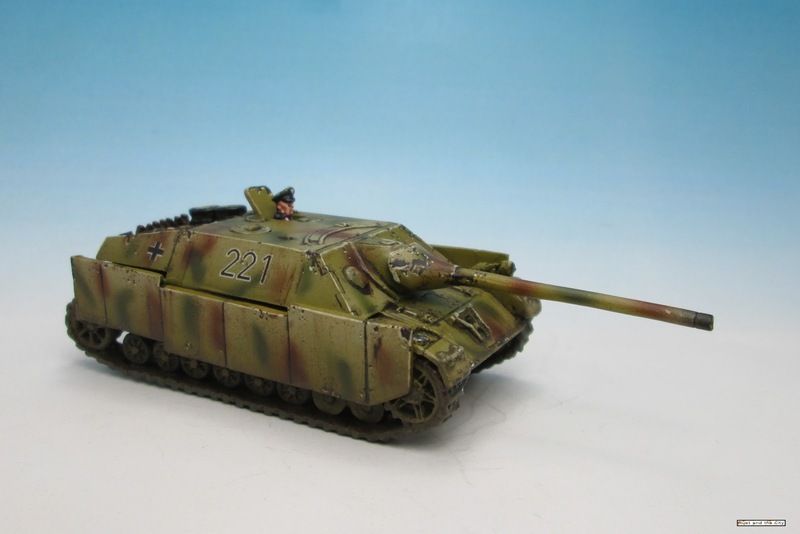 I really wish these models used the plastic panzer IV track set. The long metal barrel is also very susceptible to being bent. I will probably have to get some replacement hulls from battlefront to complete my models as some of the hulls are really warped. I'd give the model itself a 2.5/5. Have I mentioned how much I prefer plastic models? They are the same colour. My computer is having some colour correction issues. 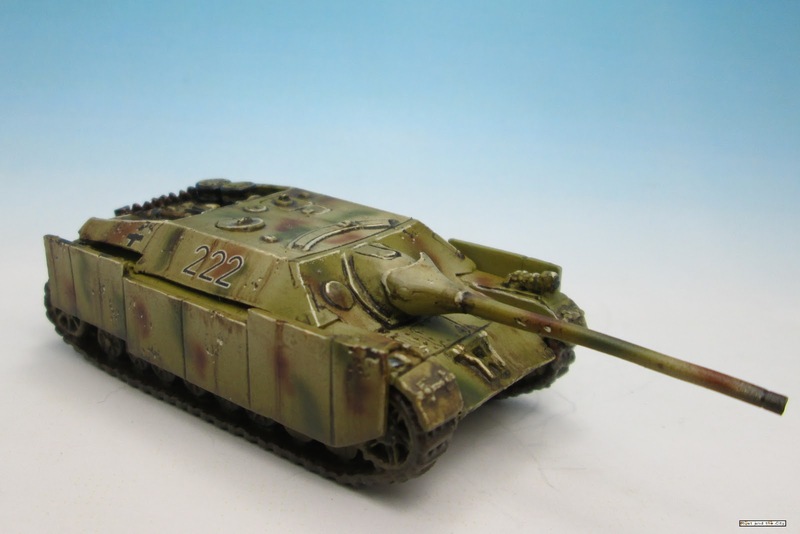 For games, I am hoping that the Panzer IV/70 will fill the need for anti-tank assets in my Panzers to the Meuse list. 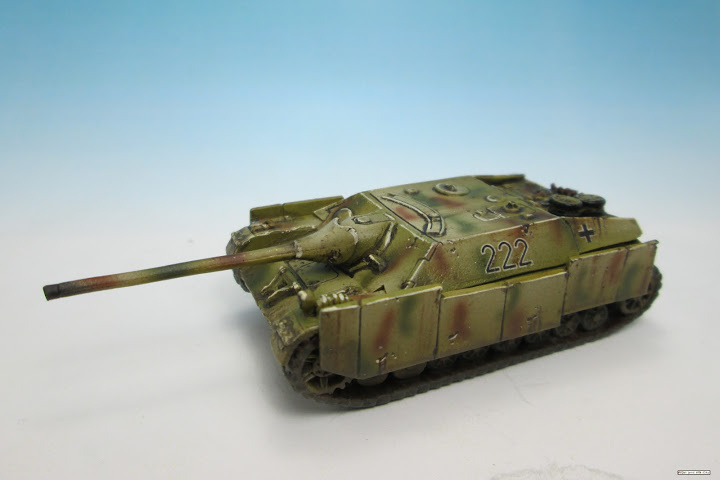 The 1650 list I am building towards has only 2 Panzer IV/70s. 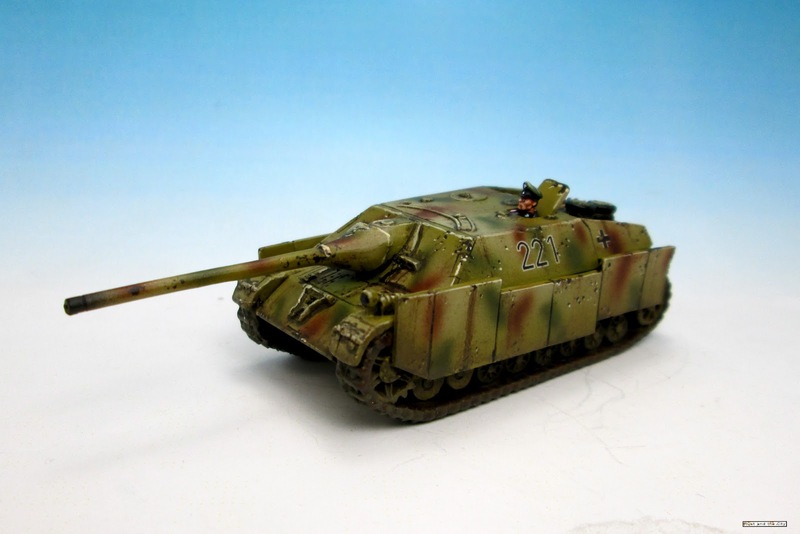 I am not sure if they will work or if I will end up replacing them with more Panzer IVs. I think 2 anti-tank assets are easy to nullify with movement, smoke, and concentrated fire. I think they will be more effective as a deterrent than for actually destroying tanks in many cases. They are pretty points efficient as they are slow, overloaded, and have weak side armour. At only 150 points each they are decent value in a limited role. I think the list itself requires the use of speed and spearhead to achieve results quickly. 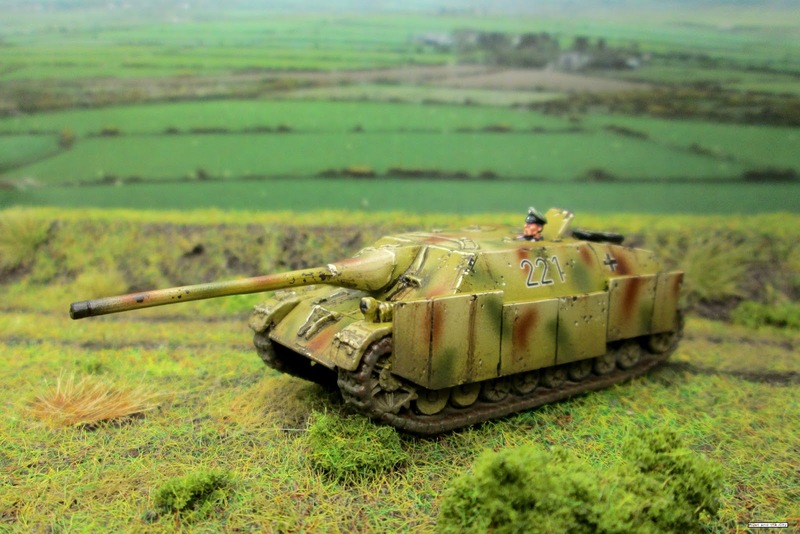 A long shoot out will be hard on the vulnerable Panzer IVs and so I am concerned that the Panzer IV/70s will not have enough synergy with the rest of the list. Regardless, they are pretty cool little models that are fun to include in lists. I'd love to hear your comments on using Panzer IV/70s in games and your experiences with using filters. As always, if you leave a comment I will be sure to reply as soon as I can. Thanks for visiting. Is it the filter that makes the green and brown blend into the dark yellow? I have been trying to produce a similar effect, and all I've managed to do it lay down very dark patterns. Do you mix matte medium into the paint to make it translucent? I use MIG Tan for Tritonal camouflage: http://migproductionswebshop.com/product_info.php?cPath=23_64&products_id=336 . It is an enamel or oil product. It is an extremely thinned oil paint that you glaze on. It is similar to acrylic glazes with acrylic paint and matte medium. You could probably get the same effect but it would be a lot of work with acrylics. I'll do a blog post when I paint the next models in this way. They are pretty similar. Do you airbrush? 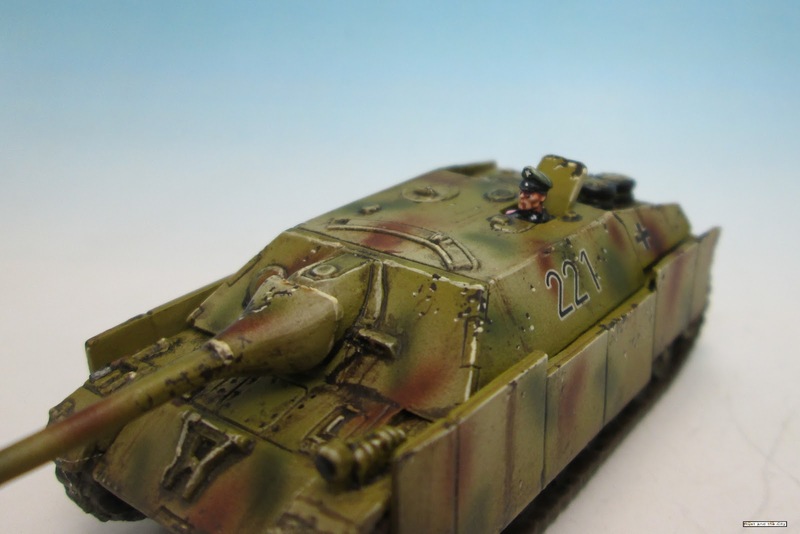 Airbrushing really helps with German camouflage. But I've been told as much previously. I'll attempt a brush effort and if it looks pants, allow my resolve on the airbrush to crumble and give it a go. It's definitely a lot easier to get a nice soft edged pattern using an airbrush than by hand. If you have any questions about airbrushing, feel free to post in the comments or send me an email (rustandthecity at gmail.com). I was wondering about your camouflage colors here. Are they your standard Burnt Umber/Russian Green combo or did you use different colors? The shades seem a bit lighter but that might be the filter? I can't quite remember... Looking at them I think the green is a lighter green, VMA olive or something. The brown is still burnt umber, it is just more red when sprayed lightly.